The first Listening Event was a huge success! 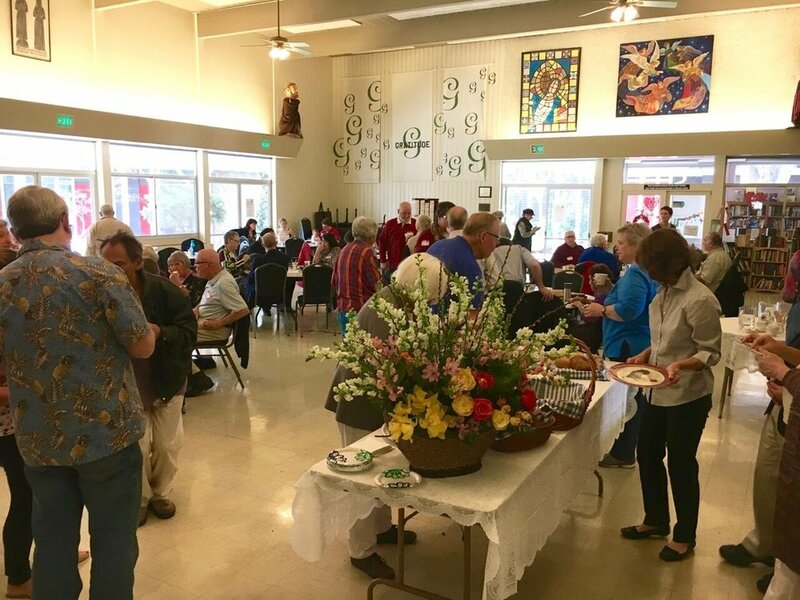 Seventy people from 24 different parishes gathered at Incarnation in Santa Rosa on Saturday, Feb. 10. Some traveled from as far as Fort Bragg to come together as a diocese and voice their thoughts. Incarnation rolled out the red carpet of hospitality and provided a beautiful meeting space for the group as well as a wide variety of snacks. Name tags were distributed and everyone settled in at their various tables, seated in groups of 6-8. The Rev. Kate Sefton, the morning’s facilitator and member of the Listening Committee, began with overview of the day along with encouragement to be considerate listeners. The Rev. Jeanne Forte, Search Committee Chaplain, led the group in prayer and offered a reflection. And then the work began! First up was an all-group exercise to describe our diocesan culture in two words. Following that, most of the discussions took place around the tables, with Kate introducing the questions and keeping time. A recorder at each table collected the feedback, which will inform the development of our diocesan profile. After one of the breaks there was a breakout group for clergy, who used the same questions as the lay group. 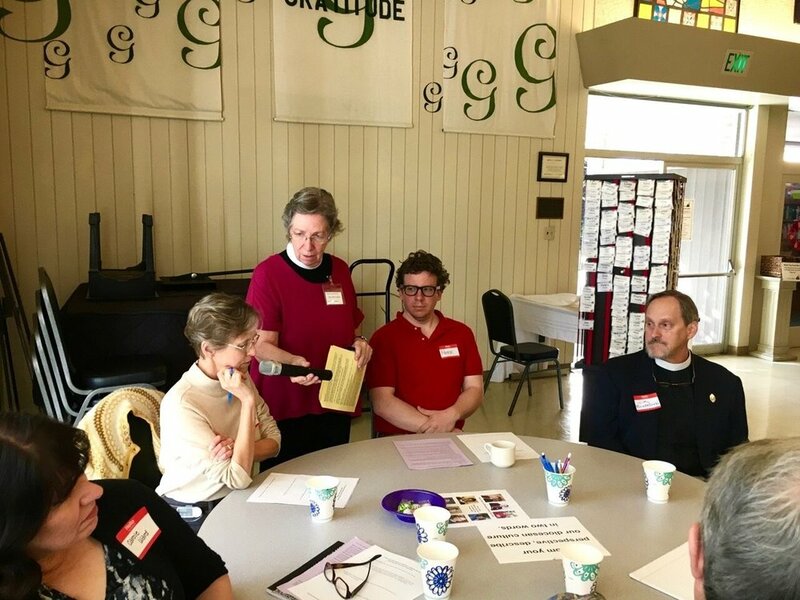 The final half-hour was spent again as a large group, where everyone was given the chance to share a synthesis of what had stood out to their table group or to them personally. A short round of gratitude closed out the day, and we spoke our dismissal exactly at noon. The Search Committee is very grateful for all the efforts made at attending Listening Eventsand/or Parish Forums. Your voice, your experiences and your hopes and dreams are what will help us craft an accurate profile of who we are and where we want to go. Are You Called to Serve on the Transition Committee?